BubbleBum is a brand that is known for safety, convenience, and innovations that make families lives easier. Their BubbleBum inflatable car seat has made travel easy, safe and convenient. BubbleBum is excited to announce two new products that will make traveling more enjoyable for families on the go! The Junkie will transform the backseat into an entertainment haven for kids. The Sneck pillow system is filled with micro-beads that will provide head support and make napping comfortable. 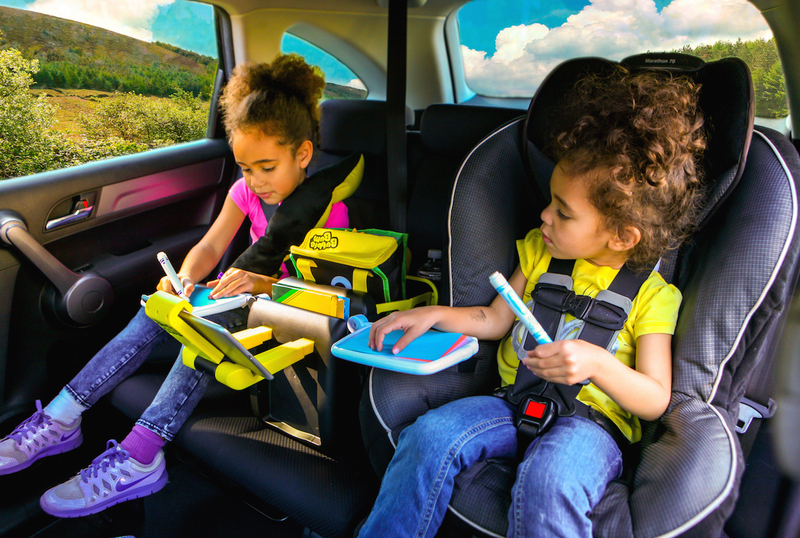 The Junkie all in one in-car organizer and activity station for kids can turn back seating boredom into a thing of the past. 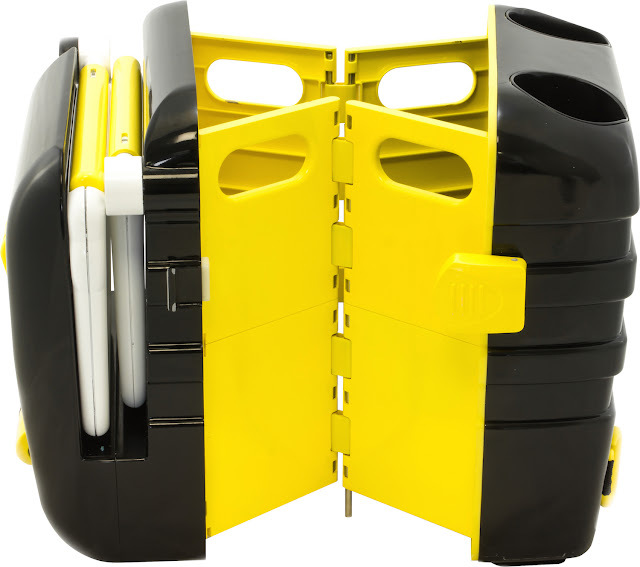 This expandable organizer harnesses safely into the backseat to store activities, snacks and drinks conveniently between two kids. 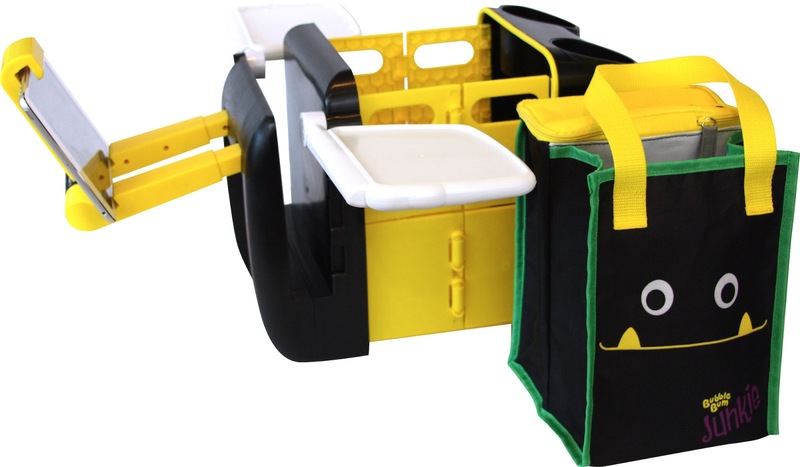 It features two retractable activity trays for snacking and activities. The two cup holders securely hold average sized water bottles within easy reach so parents can focus on the road. The removable tote bag makes toting activities from the house to the car a breeze. The insulated compartment is perfect for keeping drinks and snacks cold while traveling. The innovative tech viewer allows kids to watch movies or their favorite shows on their tablet together in a safe secure manner while on the road.